[BE]spoke have successfully completed the conversion of a B Listed Office to form 6 x No. Serviced Apartments on behalf of Malcolm Campbell Ltd. 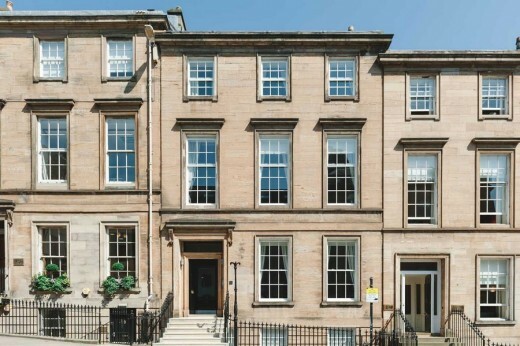 Built in circa 1830, 242 West George Street comprises 3 storeys and basement accommodation in a 3 bay terraced classical house formation, stepped in slope, the building had been subsequently altered into offices and poorly split with inappropriate additions to the interior evident throughout. 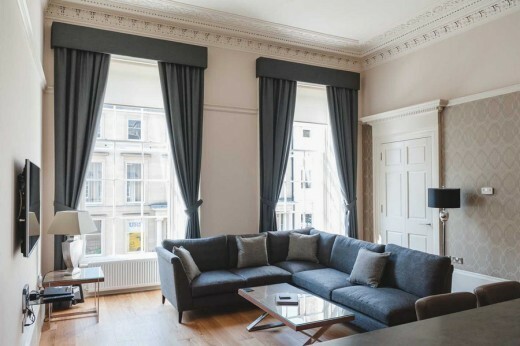 [BE]spoke were commissioned by the owners Malcolm Campbell Ltd.; commercial property investors and developers as part of their latest venture to provide Serviced Apartments in this prime city centre location. 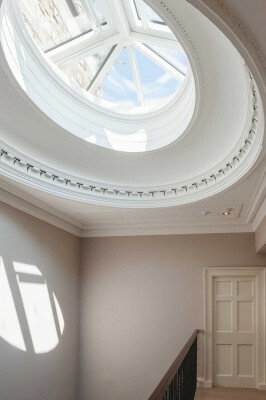 The design allows the original character and form of the prestigious listed building to be retained and restored whilst conversion was sympathetic, ensuring that all original rooms were retained and any new additions would not detriment the interior fabric to ensure modern day living requirements could be met without compromising any of the architectural features forming part of this listed building. 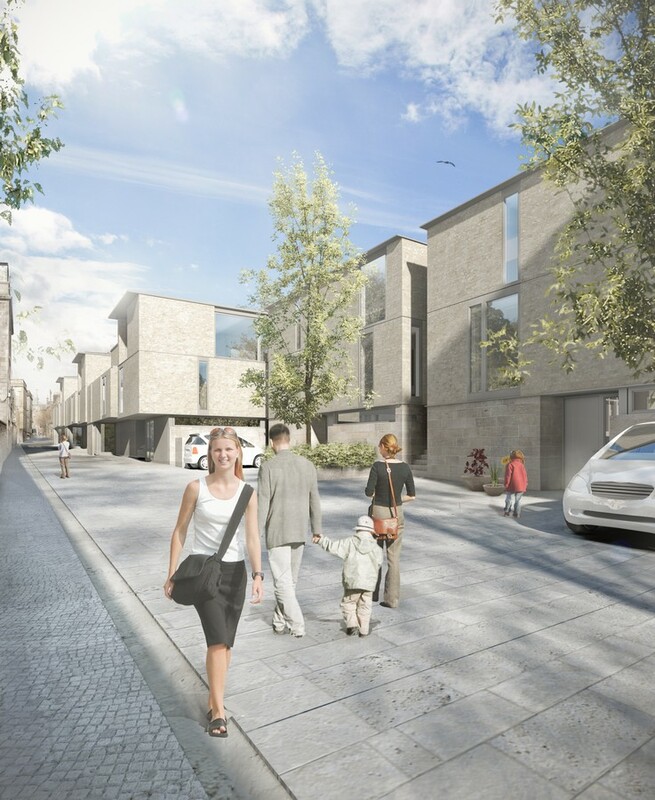 All apartments have been furnished to an exceptional standard with kitchens and bathrooms provided by Porcelanosa providing all mod cons ‘city living’ environment for guests. Contractor: Dickie + Moore Ltd.